Farm subsidies have never made any sense — and despite almost a century of entrenchment, this remains as true today as it ever was — and I will show you specifically how: how and why, I should say, the subsidization of agriculture devastates the vital, beautiful industry of farming and agriculture. In New Zealand, farms were liberated from state interference following an agricultural crisis back in the 1980s. Farmers were left without subsidies after the market reforms, ultimately resulting in Kiwi agriculture booming into one of the most diverse and efficient markets in the world. Not only were prices decreased, but previously ignored sectors popped up as well — including the now-booming New Zealand wine industry. In Australia, it’s much the same story. Like New Zealand, Aussie farmers are among the world’s least subsidized. Also like New Zealand, the Australian agricultural economy is diverse and efficient, resulting in the gross value of production in that sector reaching record levels this year at AU$62.8 billion. The federal government of the U.S. spends more than twenty-billion dollars annually on subsidies for farm businesses. Roughly forty percent of the nation’s 2.1 million farms receive subsidies, the overwhelming majority of that money, however, going to the large government-crony producers of corn, soybeans, wheat, cotton, and rice. Federal aid for crop farmers is deep, complex, and comprehensive — dating back to at least 1862, when the Morrill Act of established the land-grant colleges to teach agriculture and other subjects. The Hatch Act of 1887 funded agricultural research, and the Smith-Lever Act of 1914 funded agricultural education. The Federal Farm Loan Act of 1916 created cooperative banks to provide loans to farmers, which in-and-of-itself is no big deal, but that developed into today’s Farm Credit System — a thoroughly government-sponsored financial system with more than $280 billion in assets. And yet it was during the Great Depression of 1930s and FDR’s disastrous policies that the socialization of agriculture really began in earnest and included wage-and-price controls, commodity price supports, supply regulations, import barriers, and much more. And this, not coincidentally, is when farming conditions started to become horrific. Among numerous other things, all this taxpayer money shields farmers against price-and-market fluctuations and seasonal yields, as it also funds their insurance coverage, marketing, export sales, research (however whimsical), and other activities. 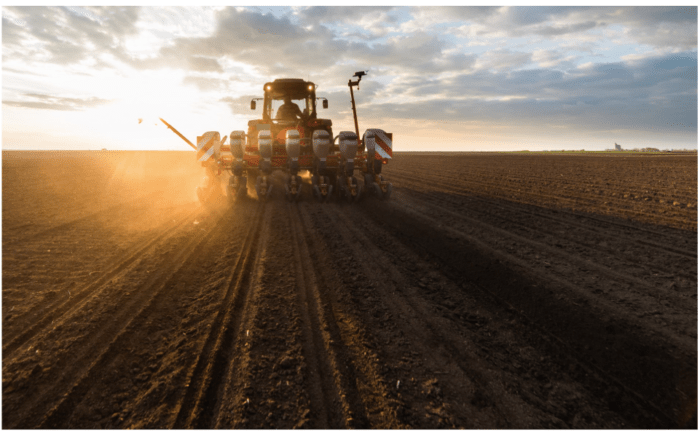 Agriculture is no more (or less) risky than any number of other industries, and, like all other industries, it does NOT require a complicated maze of government subsidies and regulations. United States farm subsidies are promoted as “saving family farms and protecting the food supply,” but in actuality, in terms of sheer dollars spent, they’re America’s largest crony-corporate welfare program in existence, surpassing even healthcare. These subsidies also burden American families with higher taxes and higher food prices. Yes, I know: farm subsidies are intended to alleviate farmer poverty, but I know also that the majority of subsidies go to commercial farms with individual net worths of nearly $2 million. Subsidies and socialization discourage farmers from innovating, cutting costs, diversifying their land use, and taking other actions needed to prosper in a vibrant, competitive economy. Laissez-faire market forces, on the other hand, as with all other goods and services, create a food-and-agricultural sector that is free to diversify and flourish when left alone, as it has and does in New Zealand, for instance. This, in turn, results in readily available, inexpensive food for all. As a result, unhealthy foods have their prices artificially lowered while the healthy stuff stays expensive. Thus, poorer members of society are not only made to pay more, but they often have to [to some extent] forgo a healthy diet to do so. It’s government that creates the problems to begin with and then the “free-market” (that doesn’t actually exist) is the one blamed so that deeper government controls can then be demanded, and then the problems worsen, and the cycle begins anew, et cetera ad infinitum. Laissez-faire et laissez-passer, le monde va de lui même. “Government is solely an instrument or mechanism of appropriation, prohibition, compulsion, and extinction; in the nature of things it can be nothing else, and can operate to no other end….” (Isabel Paterson, The God of the Machine, 1943). Because one of the greatest ironies of agricultural-socialization-versus-laissez-faire is that some of the loudest voices calling for more and ever more and ever bigger government are also some of the loudest lamenters of the horrible farming and agriculture conditions which have been created by the very big government they’re calling for MORE of. It is inarguable — it is indubitable — that FDR’s policies of unadulterated socialism wrecked farming for decades that have stretched into the present day.